The popular U.P. golf package known as the Perfect 4-Some is about to become a fivesome. And if it’s possible for perfect to become something even better, that’s about to happen as well. 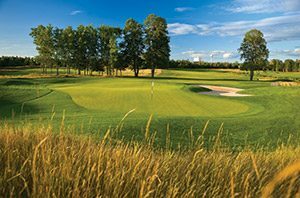 Until now, the Perfect 4-Some referred to “Sweetgrass, Greywalls, TimberStone & you!” and offered golfers the opportunity to play three courses in Michigan’s scenic Upper Peninsula at an attractive package price. 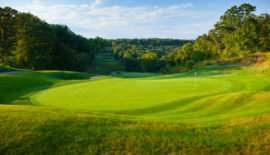 Not just any courses, either, because the Greywalls course at Marquette Golf Club, the TimberStone course at Pine Mountain Golf and Ski Resort in Iron Mountain and Sweetgrass Golf Club at Island Resort and Casino in Harris are all splendid layouts that boast numerous “best course” awards from national and regional publications. TimberStone’s highest honor was a five-star rating from Golf Digest, which puts it in a rather exclusive group that also includes the likes of Pebble Beach, Spyglass Hill and Whistling Straits. Now Island Resort, owned by the Hannahville Indian Community, is putting finishing touches on its second course, Sage Run, which like Sweetgrass will honor Potawatomi tribal tradition. Sweetgrass and sage are two of four traditional medicines used in Potawatomi ceremonies. Sage Run joins the acclaimed Sweetgrass at Island Resort. The owners had hoped to give Sage Run a soft opening in late 2017 but the elements — in the U.P. that means weather — forced a change of plans. Eight of the course’s holes had been seeded in 2016 but attempts to seed the rest of the course in 2017 were thwarted for much of the year by heavy, heavy rains, said Tony Mancilla, the resort’s general manager. Several times rain washed away freshly sown seed before it had a chance to set roots, and the superintendent and his crew were forced to deal with unwanted ravines and other rain-caused damage. 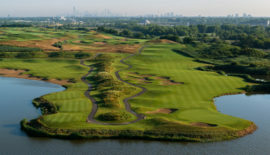 But Mancilla said the grass finally took in the fall and the course will open for public play on June 15. For the first month Sage Run will be limited to package play because “we don’t want to beat it up right out of the gate,” Mancilla said, but by July 15 it will be avail – able to all-comers. 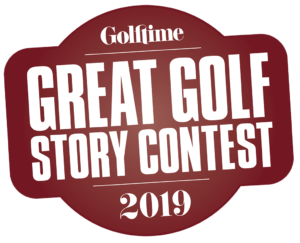 While having some similar features — both are designed by Paul Albanese of Michigan’s Albanese and Lutzke architectural firm, protégés of Mr. Pete Dye — the two courses will feature very different styles. Sweetgrass, host course for the Symetra Tour’s Island Resort Championship for aspiring LPGA players, is more of a conventional championship-style layout. Relatively flat and open, Sweetgrass is marked for expansive swaths of tall grass waving in the breeze. Golfers cross hazards by crossing over five historic bridges that were brought to the course, while an island green par 3 was shaped to resemble a turtle, which Potawatomi legend holds in high esteem. It is expected that Sage Run, a resort course designed with high-handicap players in mind, will be a bit more player-friendly than its sister course, which can be windswept and is known for its fast and undulating greens. Mancilla said that despite the weather issues that slowed development of the course he did get to play a few holes in the fall and found it to be “a very fun course,” though in some ways a little tougher than he had expected. Golfers will find several blind tee shots on dramatically downhill holes and a few places where the pins will be hidden. 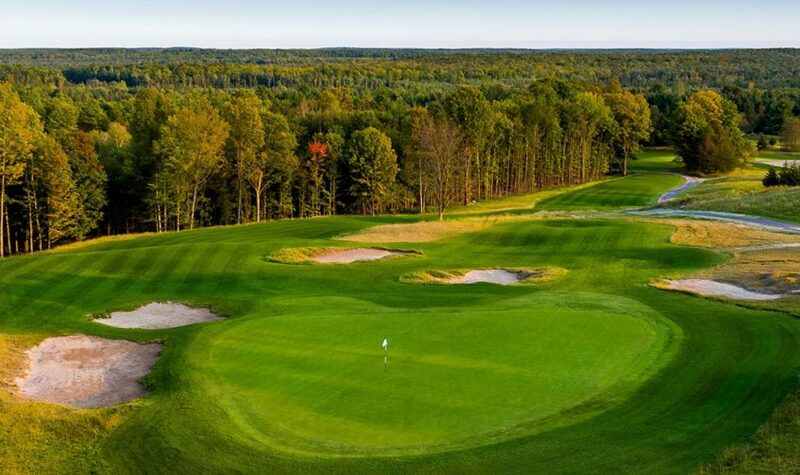 The sweet 16th at Sage Run plays dramatically uphill and showcases the rough Upper Peninsula terrain. In short, the two styles will offer golfers two looks and different experiences. 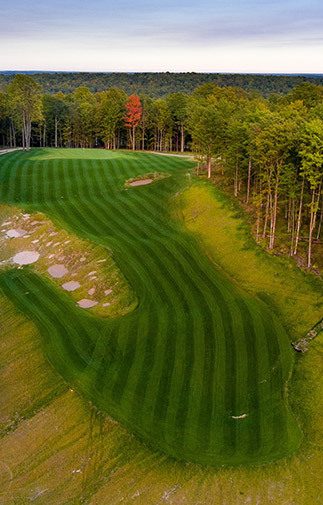 Sage Run will feature bluegrass fairways, which should allow the ball to sit up better for high-handicappers, while Sweetgrass has bent grass. 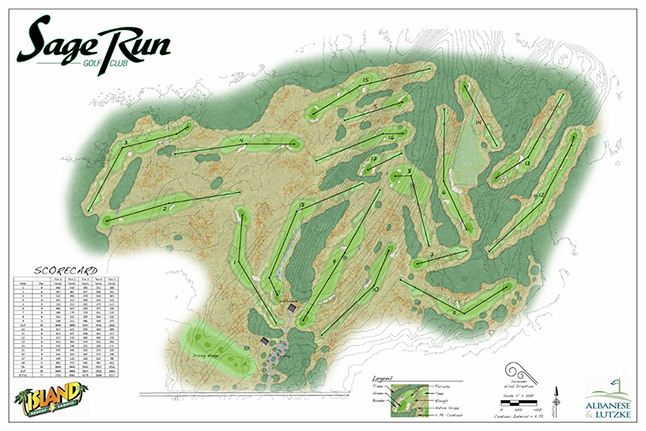 And while Sweetgrass is known for its conditioning, Sage Run will have furry edged bunkers and a more rugged look. Adding a second course at Island Resort also addresses an issue raised by some guests in the past — the distance between courses in the Perfect 4-Some package. Greywalls is 78 miles from the casino hotel, where many of the package players stay, while TimberStone is 44 miles from the resort. Mancilla said he expects some golfers will enjoy having two courses to play in the same location, while still including one or both of the other courses in their trip. Either way, the package approach should have even more appeal. 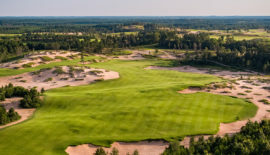 And while the Upper Peninsula is known to be lightly populated and a little laid back, golfers should understand there is more to do there than just play golf, even if it is on superb courses. Greywalls, which gets its name from the dramatic stone walls that surround several greens, is in Marquette, with its historic and visually appealing downtown set on the shoreline of Lake Superior. 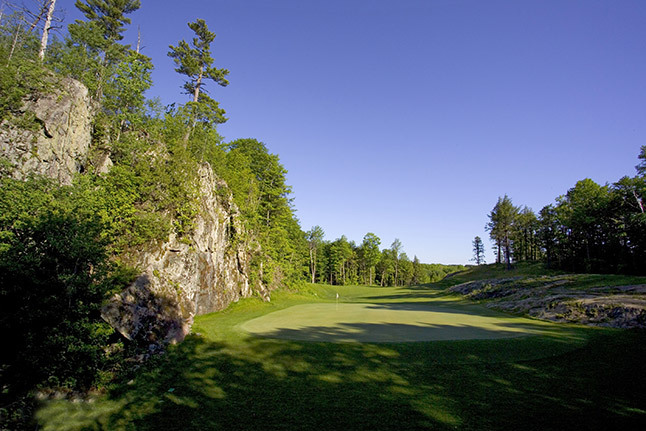 In addition to Greywalls, which offers its own breath – taking panoramic views of Lake Superior, Marquette Golf Club also offers the 18-hole Heritage Course; its first nine holes, dating to 1926, were designed by William B. Langford and his partner Theodore J. Moreau, who also designed the acclaimed Links course at Golf Courses of Lawsonia in Green Lake, Wisconsin. Marquette visitors with time to explore after golf should not miss the Marquette Regional History Center, which does a fine job of sharing both Native American his – tory and the iron ore discoveries that made that part of the U.P. a major mining center. Others with a little darker bent might enjoy the “Anatomy of a Murder” driving tour of sites found in the movie and book of the same name, based on a true-life killing in a small town near Marquette in 1952. Iron Mountain, where TimberStone is located, similarly shares iron mining history at the Cornish Pump Museum and other attractions. The U.P. Sports Hall of Fame is there as well, honoring such notables as college basketball’s Tom Izzo and professional football’s Steve Mariucci. In addition to its two courses, Island Resort and Casino offers more than 300 guest rooms, including suites and an indoor pool, along with a showroom for touring entertainers, convention center, recently opened spa, sports bar and casino with slots, craps, blackjack, life poker and other games. 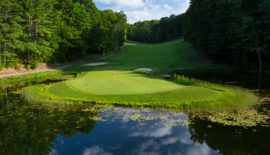 Visit www.islandresortandcasino.com; www.marquettegolfclub.com; and www.pinemountainresort.com.